Our headliner, Ralph Harris is one of today’s hottest comedic and acting talents! He made his feature film debut in "Dreamgirls," a film that has struck gold (of the Golden Globe variety). 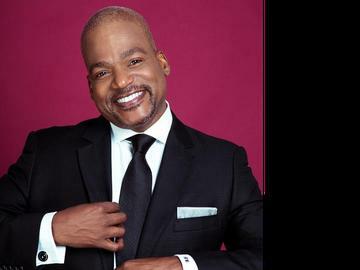 Ralph’s jump to the big screen comes after years of successful television work, including appearances on "Seinfeld," "Parenthood," "Nick Freno," "Living Single" and "In Living Color." No stranger to late night, Ralph has been featured on "The Tonight Show Starring Jay Leno" and "Late Night with Conan O’Brien." However Ralph is probably best known for his starring role in the ABC-TV sitcom “On Our Own,” which aired during the immensely popular TGIF block on Friday nights, and which currently airs in syndication on TV One. You can also catch Ralph on TV in airings of his two previously recorded Cable TV specials – "Comedy Central Presents" and the "HBO Half-Hour Comedy Special." When he’s not filming, Ralph continues to tour the country and perform to sold-out audiences as a stand-up comedian, his first career and love.